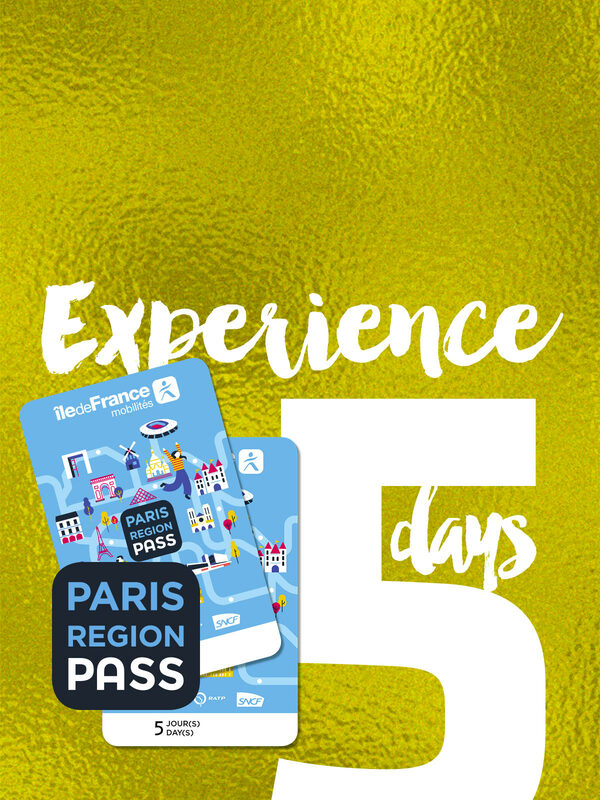 Paris Region Pass EXPERIENCE: the full package to make the most of your stay! Right from your arrival at the airport, you have unlimited access to all public transport in Paris Region. Metro, bus, tram, RER, Orlybus, Roissybus and Orlyval. Eiffel Tower, Louvre, Notre-Dame… Discover the highlights of Paris along the river and enjoy an incomparable view of the City of Light. Boarding near the Eiffel Tower, commentary available in several languages, 1 hour cruise. Perched on a double-decker bus, ride through the streets of Paris as much as you like: hop on and off whenever you want, and take the time to stroll. Audio commentary in several languages. 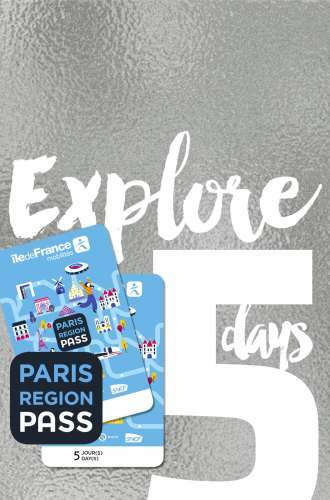 Enjoy access to over 50 museums and monuments in Paris (Louvre, the spires of Notre-Dame, Arc de Triomphe…) and its region (the palaces of Versailles and Fontainebleau, and much more). No more need to queue for a ticket at each site. The use of the PRP is subject to acceptance in full and without exception of sale and the conditions of usage of the transport ticket. 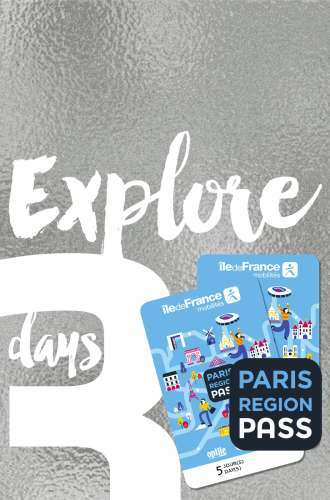 The PRP is distributed by tourism operators such as the Paris Region Tourist Board. In order to view any specific conditions that may apply to the tourism operator, please refer to the General Conditions of Sale and Usage of the card seller. It is obligatory to validate your PRP at the control terminals provided by the public transport used during your journey. 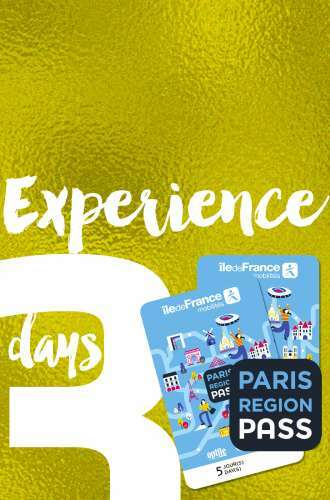 At the time of these controls, the PRP card must be presented and must include a valid contactless Paris Visite option that has been validated at the control terminals. Failure to provide these elements may result in a fine in accordance with the regulations applicable to the relevant public transport service. Should the pass holder not have the accompanying public transport ticket, a new transport ticket must be purchased prior to travelling. The cost of these additional tickets will not be reimbursed. The PRP will not be replaced if lost, stolen or damaged. The transport tickets included will not be replaced or reimbursed. The user must conform to all applicable regulations set out by the various travel operating companies (tourist bus, river cruise…).